Set with blue lab opals. 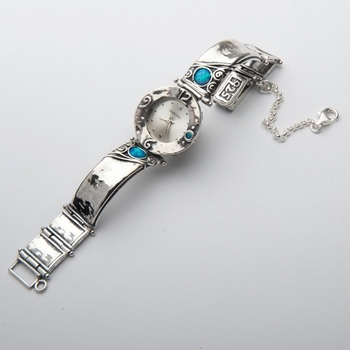 Sterling silver watch. Solid pieces flexible band. Japanese movement. Bar clasp.